Despite the fact that Google recently held a hackaton for Project Glass developers a few days ago in San Francisco and is hosting another event starting today in New York, we still don’t know an awful lot about the search giant’s augmented reality eyewear. One key question that remains unknown is how one would hear audio while wearing the headset. Engadget believes they have solved this mystery thanks to a Federal Communications Commission filing for what is likely the Google Glass Explorer Edition, expected to ship to developers any day now. The publication found a reference to an integral vibrating element that provides audio to the user via contact with the user’s head – or what they believe to be bone conduction technology. 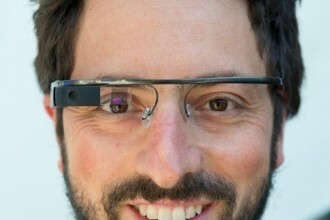 After all, Google filed for a patent for such a device earlier this month that appeared to be attached to a pair of glasses. The fact that the technology was detailed in the FCC write-up means they have deemed the product safe for human consumption. It also means that Google is likely getting ready to ship out early developer units to those that pre-ordered the $1,500 device more than six months ago. As Dvice notes, bone conduction technology isn’t anything new but thus far, we haven’t really seen any consumer electronic devices use the technology that don’t look absolutely ridiculous. If Google Glass does indeed contain the tech in the prototypes we have seen, there is little doubt that they will change that negative image stigma.